I don't know about you, but it seems like summer is the season of rushing to me. From the moment school ends, we're rushing to spend quality time with the kids -- squeezing in all those warm weather activities we don't have time for during the school year. All that rushing means our healthy lifestyle often takes a back seat on the ride to the pool or beach! 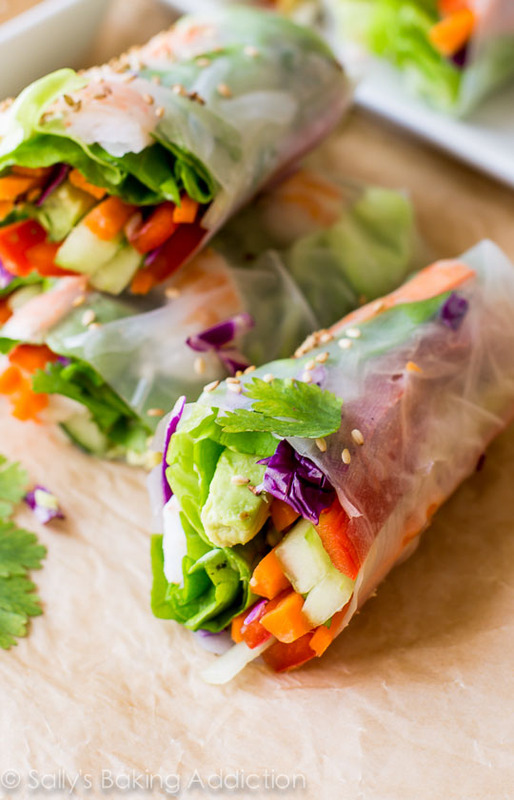 Fortunately, there are lots of fast, healthy options for eating right on the go. 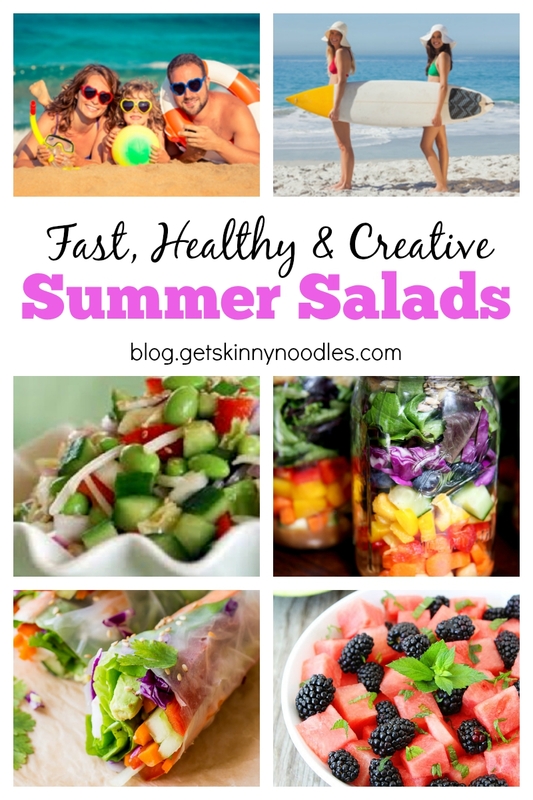 The key to light, healthy summer eating for me is creative salads. I mean, seriously: Who wants to heat up the house by turning on the oven? Believe it or not, the slow cooker is this mom's best friend during the summer months -- well, frankly all year long. (For healthy slow cooker ideas, read our recent blog.) I can put something on early in the day, not heat up the house, and have dinner ready when my hungry gang gets home and settles down for the evening. But let's face it, my family gets tired of slow cooker meals. So when I need to get creative and keep cool, I opt for one of these delicious salad options. I love this crunchy Edamame Salad recipe for lunch or even a light evening meal because the edamame are a good vegetarian source of protein. 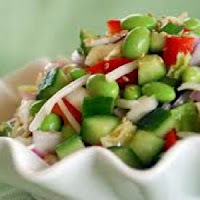 Between the protein in the edamame and the fiber from the shirataki noodles, this salad is surprising satisfying, filling, and ready in minutes. Learn more about Chef Andy here. Toss all salad ingredients and set aside. Mix together all dressing ingredients. Pour desired amount on salad mix and toss well. Refrigerate unused portion of dressing to use at later date. Makes 4 servings. Visit us at www.getskinnynoodles.com to learn more about shirataki noodles and shirataki rice, get cooking tips, and explore all of our shirataki noodles recipes! 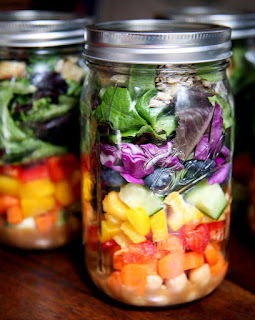 Learn the Art of Making Mason Jar Salads here. Great for making ahead on Sunday evenings! 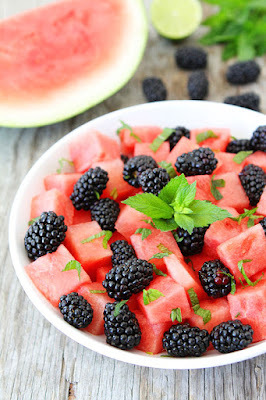 Two perennial summer favorites come together in the refreshing salad! Healthy eats to grab and go!